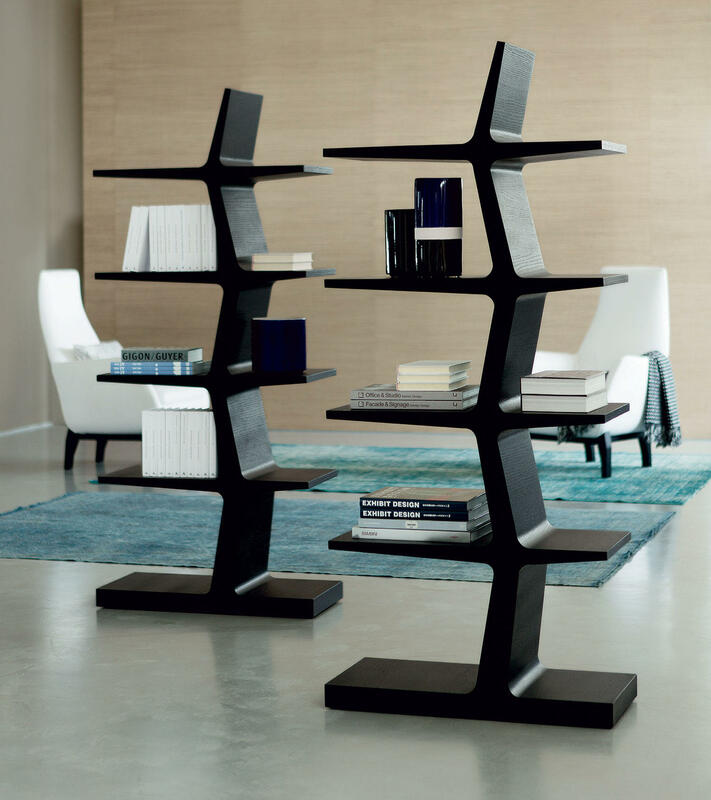 Alba is a beautiful and original wooden bookcase, very solid and entirely handcrafted in Italy. Very graphic, it recalls the branches of a tree. It will accomodate in a very original way your books and any other favorite objects. It's conceived to not to be fixed to a wall. It will become the centerpiece of a living room or it will be used as a partition wall between two rooms. It has the following dimensions: L 78 x W 35 x H 176 cm and weighs 58 kg. It's available in three finishes: Canaletto walnut, ash wood wenge lacquered or white lacquered open pore wood. Noble materials, experience and craftsmanship make this library a luxury object that shows perfect finishes. More than a library, a real sculpture that will embellish your business or private habitat.